That basic brew is pricier to create than you thought. You may want to spend an extra minute or two savoring your next cup of joe from Starbucks. The global coffeehouse chain just raised the price of a regular drip coffee by 10 to 20 cents in most locations, making a “tall” brew around $1.95 to $2.15, depending on where you are. Fortunately, the chain isn't generally spiking prices on any other type of beverages, so your Frappuccinos and Chai lattes should be safe for now. But wow! Two bucks for a cup of plain black coffee? I can almost hear my late grandfather grunting in disbelief. And this morning I literally heard my fiancé, Patrick, whose morning ritual includes a Starbucks run, throwing a fuss when he returned from our nearest branch in Los Angeles. "This coffee is already too expensive," he complained. "Now it’s 20 cents more. This is ridiculous. I'm switching to Dunkin Donuts up the street!" "And I'm replacing the Mr. Coffee machine so we can go back to brewing our own,” I cried. “This has gone too far." Then I consulted some coffee industry experts along with Starbucks and realized that while, yes, maybe spending a combined $120 a month on fresh coffee in sleeved cups isn’t the smartest financial decision for a couple looking to buy a house in the next few years, but Starbucks has sound reason to up the price on its most basic offering. “In the past year, Starbucks increased prices 1 to 2 percent which is on par with the industry practices and is in line with food away from home inflation which is 2.2 percent to 2.4 percent,” the spokesperson added. Still — the timing of Starbucks’ price increase had me skeptically raising a brow. On May 29, Starbucks closed 8,000 locations for anti-bias training, an initiative that followed the wrongful arrest of two black men in a Philadelphia Starbucks last April. Are the associated costs (and possible profit loss) with the incident, training and temporary closures in some way being pushed on to the consumer? Starbucks asserts that the training is unrelated to the price increase. “This price adjustment was not related to last week’s store closures and trainings,” said the spokesperson. Experts unaffiliated with Starbucks suggest that this is likely true. Additionally, as Jonathan Doh, PhD, professor of management & operations, international business department chair; associate dean of research and faculty director of the center for global leadership at Villanova School of Business points out, the price increase was probably planned well before the scandal that led to the training. And those employee benefits are cushy when compared to most other quick-serve establishments. 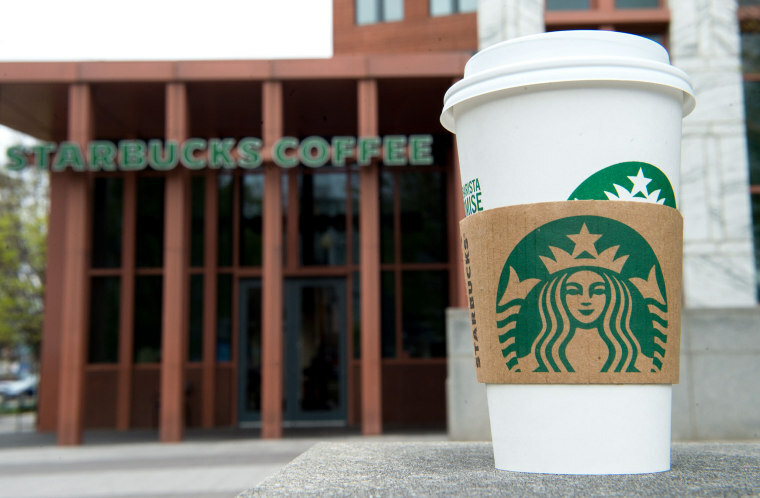 At all levels of the company, depending on hours worked, Starbucks offers healthcare, full tuition coverage with Arizona State University, career sabbaticals and more. Andy Hoffbauer, a barista who has worked in managerial positions at a few coffeehouses (excluding Starbucks), most recently at Steel City Coffeehouse in Philadelphia, says that these perks are pretty rare in his world. Though Hoffbauer hasn’t worked at Starbucks, his experience in the managerial side of the coffee business enables him to give a pretty good guess at how much a cup of coffee costs the company to make on average. Now that sounds like my grandpa’s kind of price expectations! But don’t forget everything else that goes into making that cup: staff, real estate, utilities and machinery and then the other commodities like various types of milk, sweeteners, napkins and so on. The waste factor is also significant. Starbucks also spoke to the variety of costs in its email statement. “There are many factors that contribute to pricing decisions, including various operating and occupancy expenses (i.e. rent, labor, local mandates and regulations, competition, distribution, marketing, and commodities — including coffee — but also other commodities associated with beverages, foods, materials and operations). Coffee commodity costs are only part of our value equation, historically comprising a relatively small percent of our overall store operating and occupancy expenses,” the spokesperson said. When you take all that into consideration, $2 for a cup of sounds less outrageous. Then add in the customer experience, which is designed to be impeccably efficient while still seeming chill. I still think I need to spend less on coffee, but I’m no longer judging Starbucks negatively for upping the price. Turns out, a heck of a lot goes into that one cup of joe.